Routes to School (SR2S) program over the last five years beginning in the 2012-2013 school year when the school first participated in the Walking School Bus Pilot program. 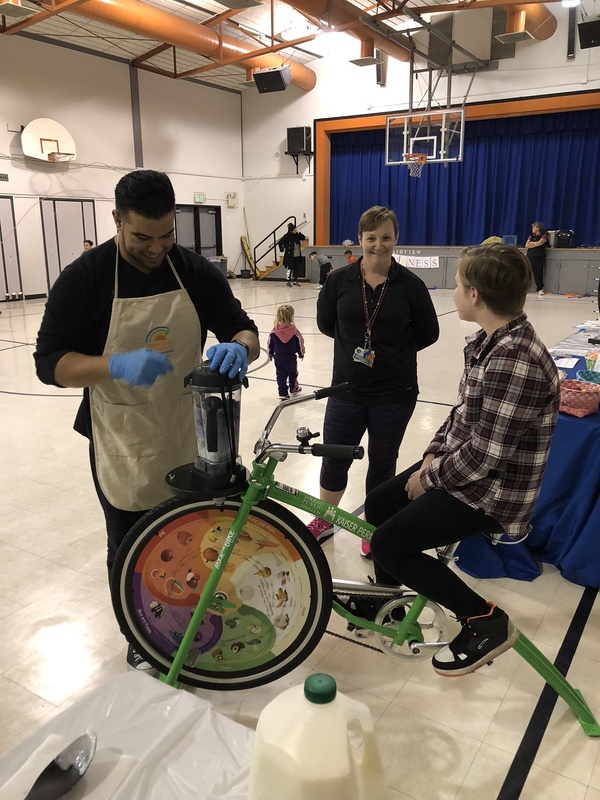 Since then, Mrs. Smith has involved her school in various SR2S activities and participated in every event or program offered during the 2015-2016 school year. 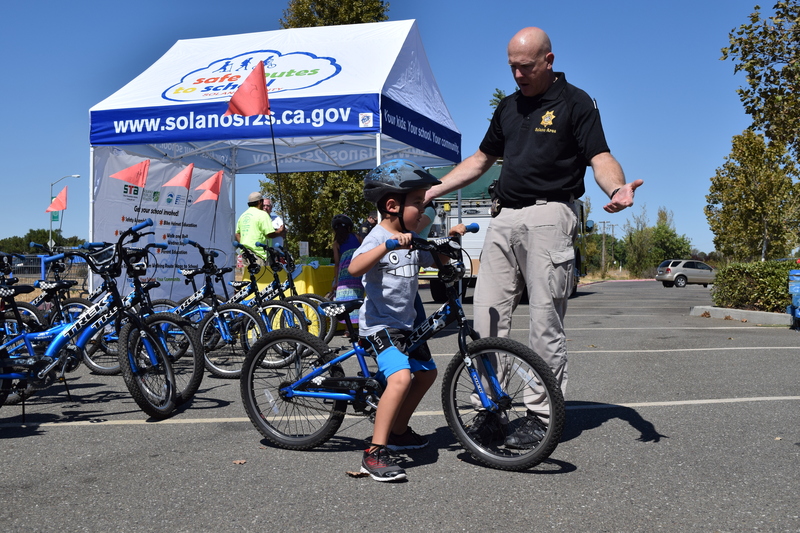 They included, International Walk to School Day, National Bike to School Day, hosting a Bike Rodeo and Bike Mobile event, bike helmet distribution, Poster Contest participation, and completing Fall and Spring Student Travel Surveys. During the same year, she started a weekly staff-led Walking Wednesday program, which is now in its 3rd year. 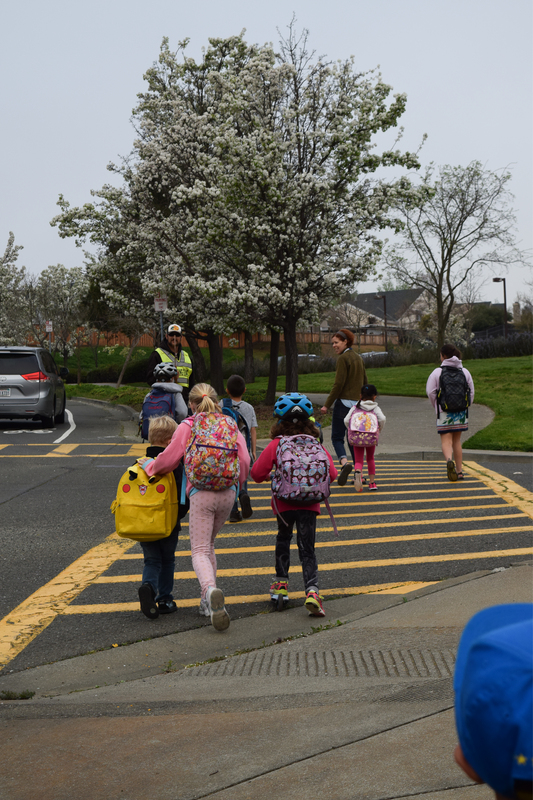 She and the staff librarian meet students and parents at Ninth Street Park and lead them across the Military W. overpass safely to school. 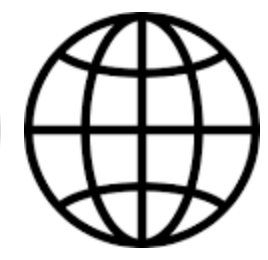 An average of 12 students participate weekly. “Kids love it, parents love it, I love it,” said Mrs. Smith and added that she wished she could do it every day. “What a great way to start the day,” she said. 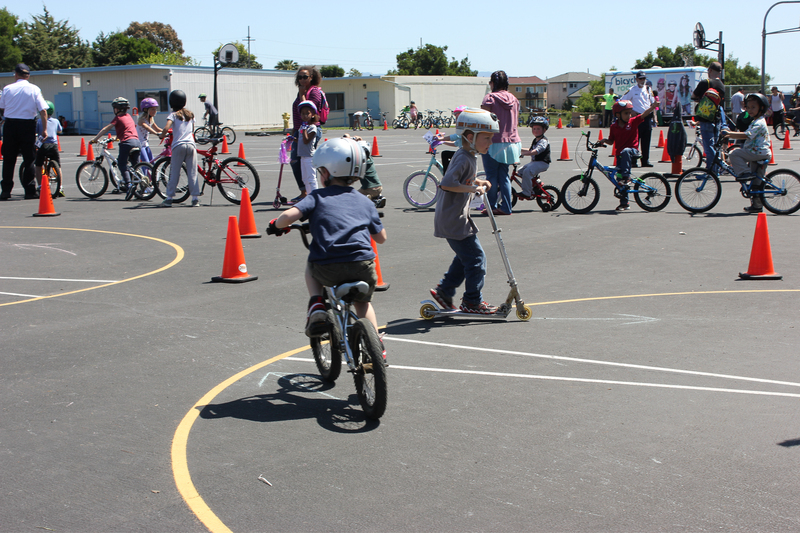 Mary Farmar Elementary continues to be an exemplary school in the county for its participation in the Safe Routes program. 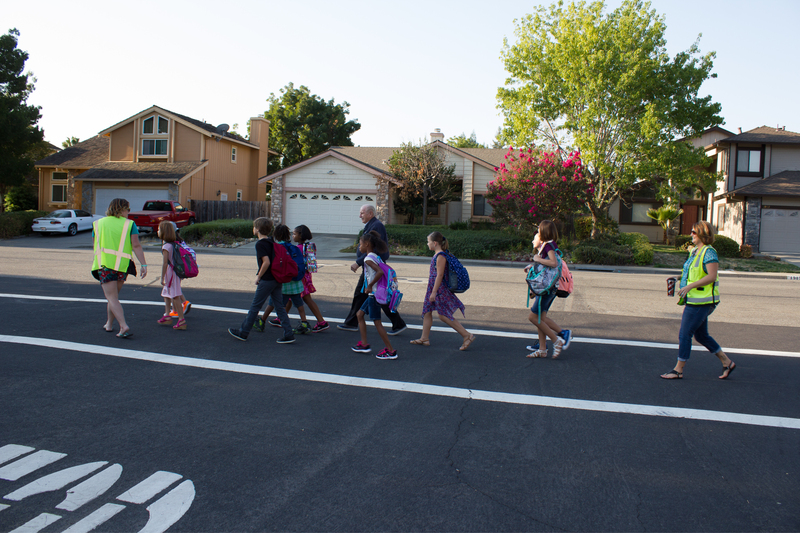 The school first embraced the SR2S program during the 2012-2013 school year by starting a Walking School Bus with three routes to reduce the number of students getting to school by car. 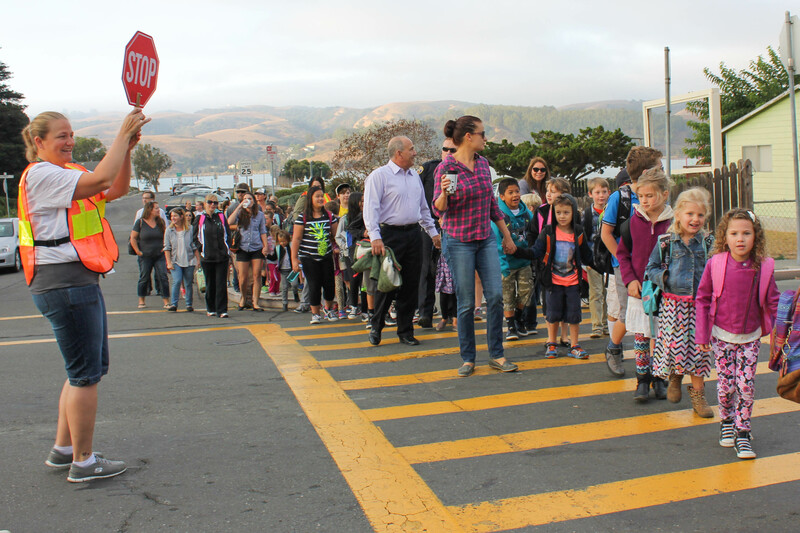 In 2013-2014, the school held three separate week-long Walk and Roll events to further encourage walking to school. 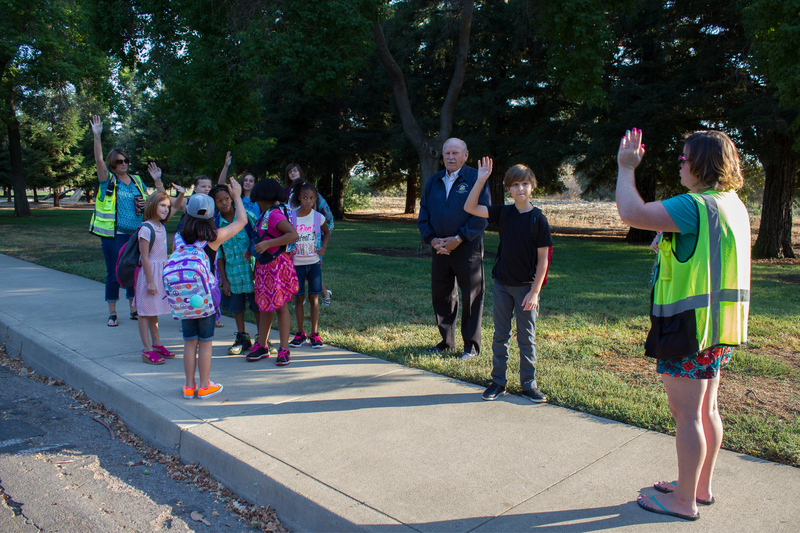 During the 2014-2015 school year, the school began its monthly Walking Wednesday program, now in its 4th year. 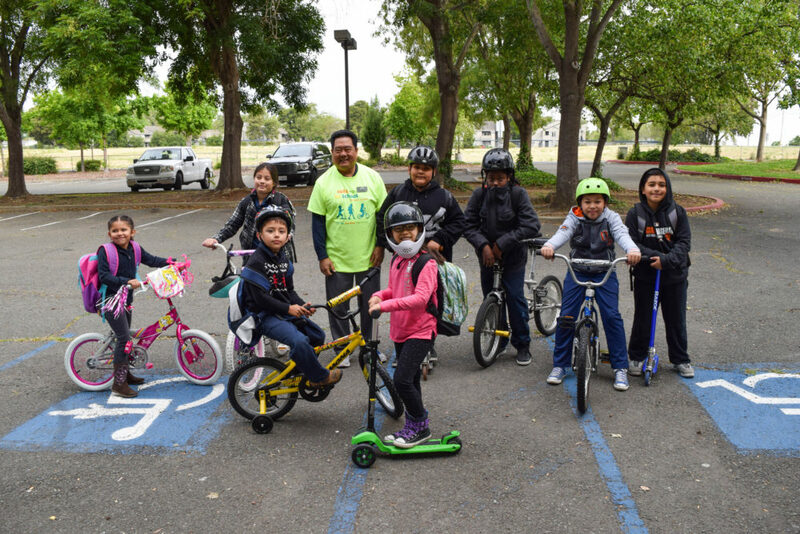 On the first Wednesday of every month school staff meet students and parents at Jack London, Skillman and Waters End Parks and walk, bike or ride scooters to school together. 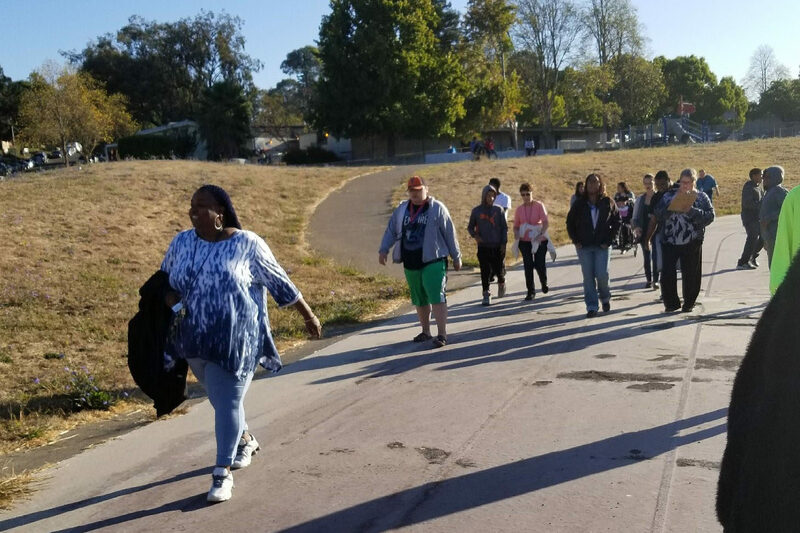 Everest Academy is the newest addition to the SR2S program thanks to the hard work and creativity of Carmen Cassius, Academic Support Provider, who devised an on-campus Walking Wednesday in 2016-2017 school year to encourage students, parents and teachers to build positive relationships and stay active. 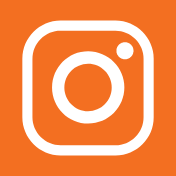 On average, 71 students and 16 adults participate in the event every week and students are “happy, smiling, singing and dancing” as they walk around campus. 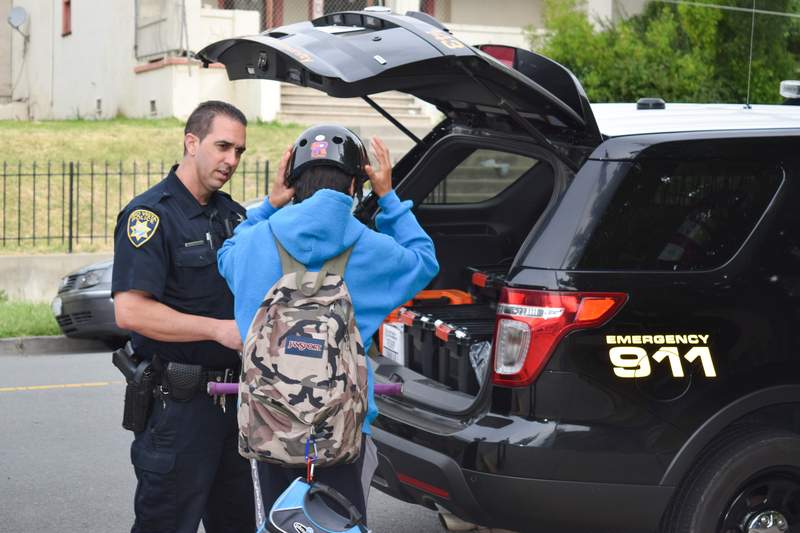 Everest academy also participates in other Safe Routes to School events including International Walk to School day, the annual Poster Contest, and semi-annual Hand Tally Surveys. 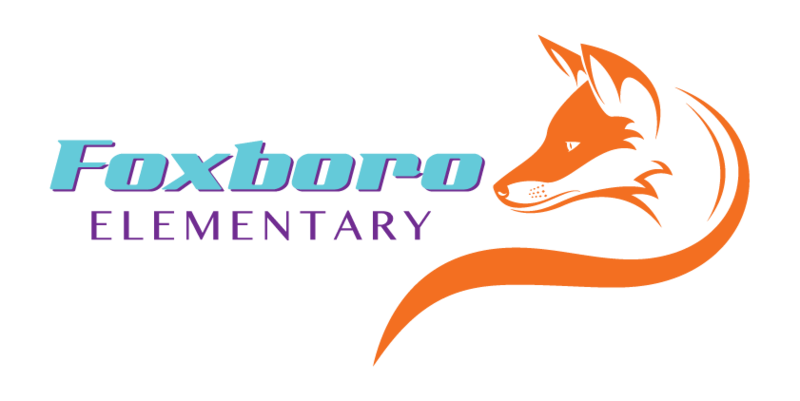 Pennycook Elementary began a Walking School Bus in the fall of 2016. 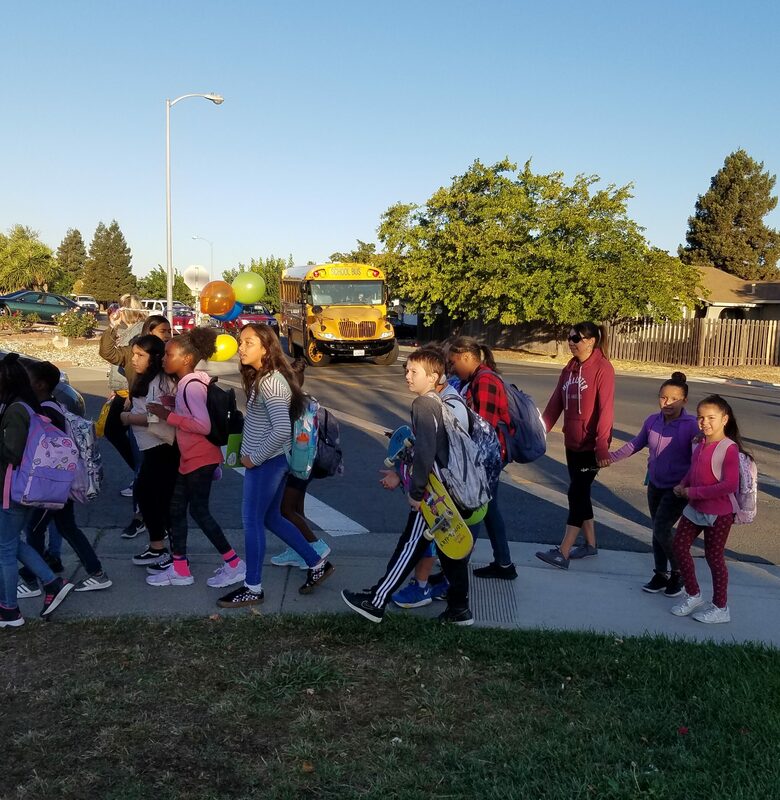 Led by Arnika Nichols (Academic Support Provider) and parent volunteers, students meet three times per week to walk to and from school. 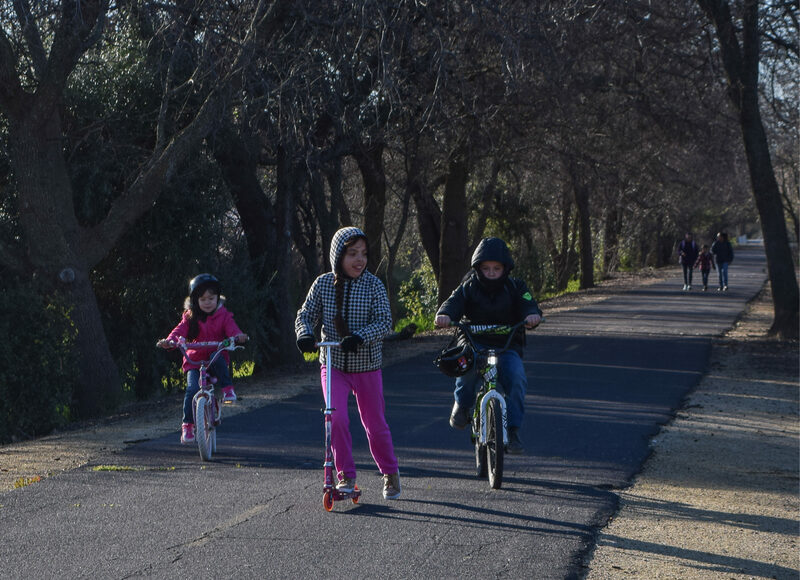 Pennycook also plans to launch Fit Fridays in the spring which will encourage students to engage in physical activity by walking or biking to school as well as participating in an on-campus activity. 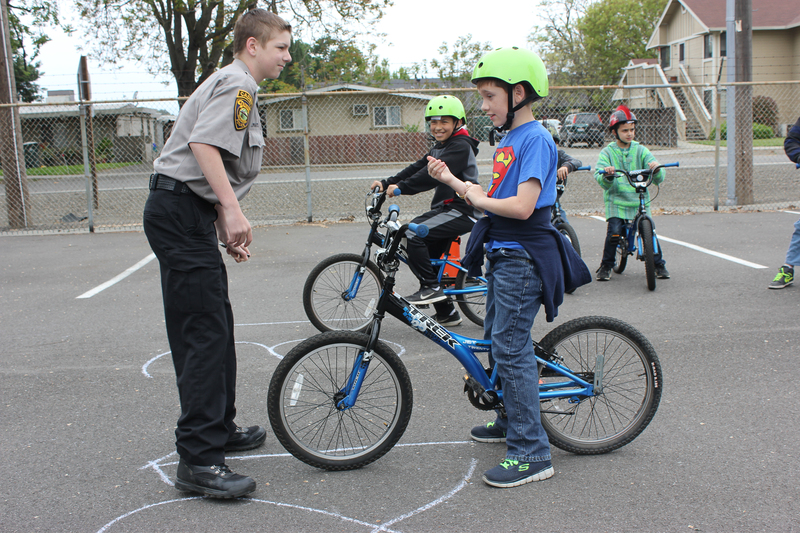 Pennycook also participated in a number of Safe Routes to School events throughout the years including International Walk to School Day, Bike to School day, the annual Poster Contest, and semi-annual Hand Tally Surveys. 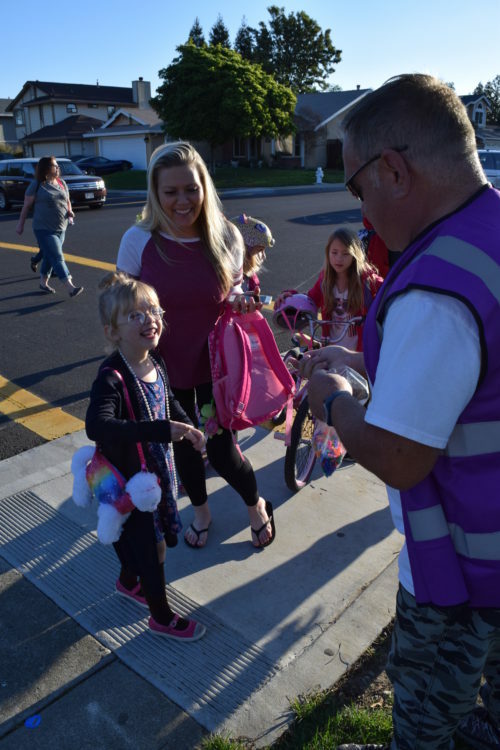 Widenmann Elementary began a Walking Wednesday in the fall of 2016. 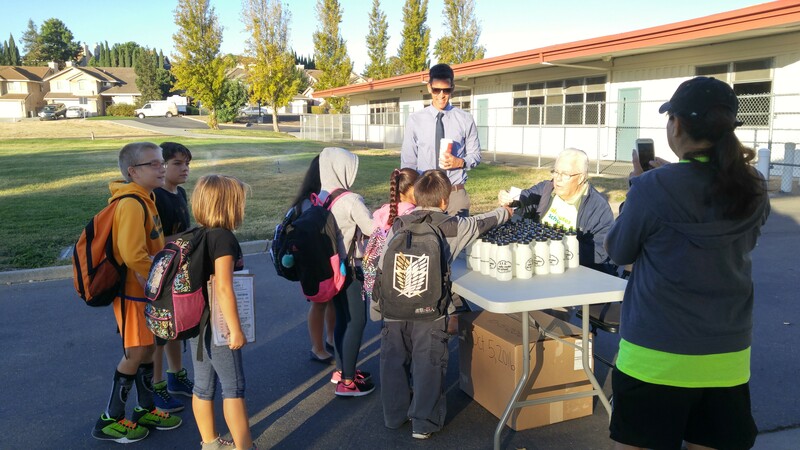 Championed by Carolyn Logan (Academic Support Provider and recent Champion of the Month), several teachers, and youth leadership, the weekly event gathers students and and parents alike to walk around campus at the beginning of the school day. 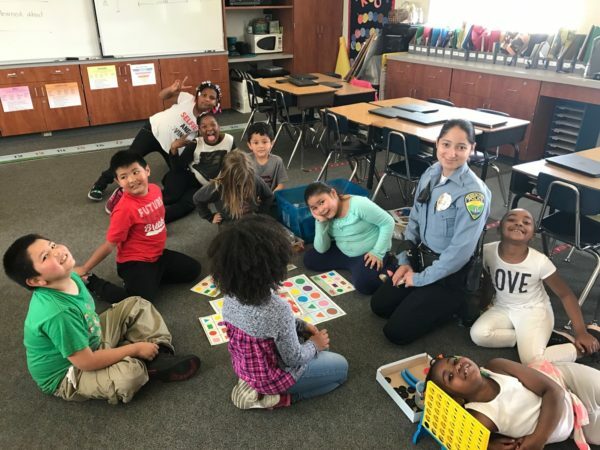 Students look forward to their weekly walks and earn a stamp for every lap they complete.Widenmann also participates in other Safe Routes to School events including International Walk to School Day and semi-annual hand-tally surveys.